Crystal Fairy features members of At the Drive-In (Omar Rodriguez-Lopez), the Melvins (Buzz Osborne and Dale Crover), and Le Butcherettes (Teri Gender Bender) and after spinning their forthcoming eponymous debut album, it's clear the musicians set out to create a big-sounding rock record with plenty of hooks. 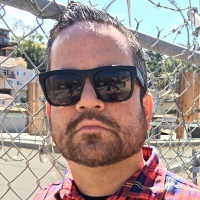 Yes, with folks from bands like At the Drive-In and the Melvins involved, you wouldn't be surprised to find out that the album also includes a few stylistic left turns, but the melodies on the 11 cuts are always front and center. Frontwoman Teri Gender Bender has an interesting way of phrasing her delivery, and she also shape-shifts her vocal style, sometimes several times throughout the course of one track. In the riff department, the guitars and bass have a sludgy tone that suit the parts well, but again, the melodic aspect of Crystal Fairy's sound is always there. For my money, the standout song on the album is "Secret Agent Rat," a hard-charging beast with lyrics sung entirely in Spanish. The riffs on that particular track bring to mind Kyuss and the way Teri lays her vocals on top of them makes for some tasty listening. 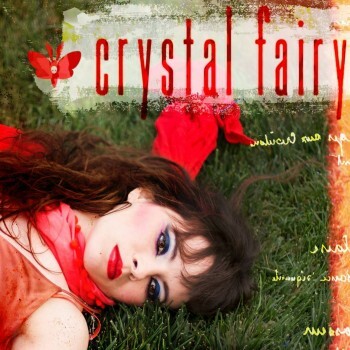 Crystal Fairy—both the band and album—is a convincing marriage of meaty guitar jams with dynamic vocals that always offer up a twist or two.